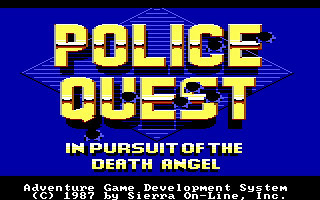 Police Quest: In Pursuit of Death Angel is published by Sierra on 1987. 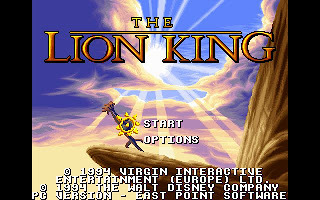 It uses 16-color low resolution EGA graphics and support PC Speaker only. 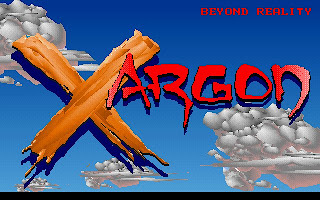 There is a VGA remake of Police Quest, I will write about it on the next post. Police Quest is an adventure game that is designed by former policeman Jim Walls, therefore the reality level should be very close to an actual one. In Police Quest, we play Sonny Bonds, a rookie police officer in the fictional town of Lytton, California. Assigned to traffic duty, Sonny investigates what appears to be a simple car crash but turns out to be a homicide. 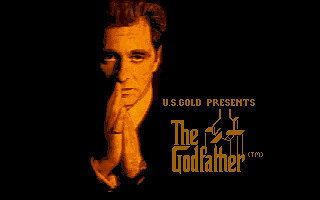 As the game progresses, Sonny goes from patrol to temporary narcotics detective and finally undercover, tracking "The Death Angel", a murderous drug dealer named Jessie Bains. Sonny is assisted by "Sweet Cheeks" Marie, his former high school sweetheart who is now working as a prostitute. 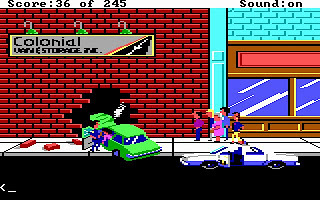 As Police Quest is designed by an ex-policeman, it is the most realistic of those developed by Sierra in the late 1980s. 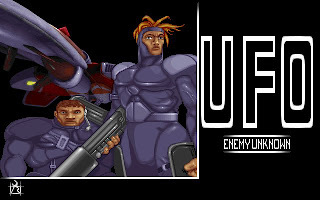 It featured many puzzles where proper police procedure is required to succeed. 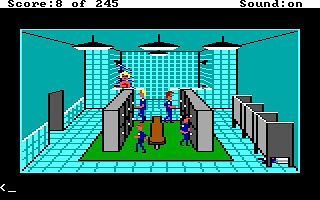 Overall, Police Quest is a nice adventure with the same quality with other famous series in the time like Space Quest and King's Quest. Three other sequels in the series is self-explanation on the success of the series. 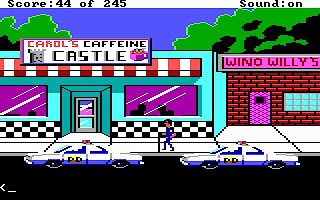 You can download Police Quest here.